Iroko is a very exotic African timber used for wood parquet flooring material .Prefinished Iroko timber comes with impressive golden grain & excellent stability as well as weathering resistance. Iroko wood flooring is one of the best selling african timber flooring item from C&L hardwood of China. 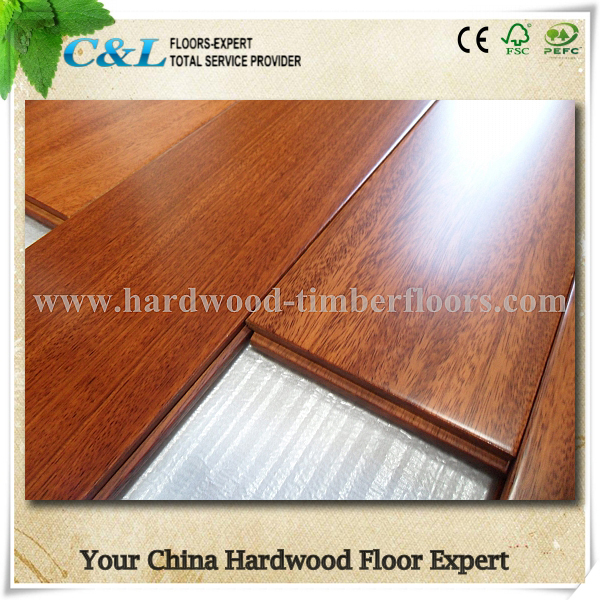 C&L hardwood in China,manufactuer both hardwood iroko parquet & engineered iroko timber flooring. C&L hardwood African Iroko raw wood material is properly dried with moisture content10-12% before processing as finished floor board.Most of the raw timber are selected A/AB Grade as a garantee of perfect surface gloss and color sheen!